Mass General’s cardiac surgery team has received the highest possible rating from the Society of Thoracic Surgeons (STS) in both aortic valve replacement (AVR) and AVR+ coronary artery bypass grafting surgery (CABG). Patients on Boston’s North Shore requiring cardiothoracic surgery find world-class cardiothoracic surgeons through North Shore Medical Center's decades-long collaboration with Massachusetts General Hospital. Cardiac surgery is now performed at Mass General, while all other aspects of a patient’s heart care are provided here on the North Shore. With multiple hospitals, urgent care sites and physician offices throughout the North Shore, NSMC is the area’s largest healthcare provider. A member of Partners HealthCare, NSMC offers access to some of the world’s most talented sub-specialists through clinical collaborations with Brigham and Women’s Hospital and Massachusetts General Hospital in Boston. Cardiothoracic surgery treats conditions affecting the heart, lungs, and other organs in the chest. Patients undergo cardiothoracic surgery at Massachusetts General Hospital, while all other aspects of a patient’s heart care are provided through the NSMC Heart Center in Salem. Mass General cardiothoracic surgery physicians work closely with NSMC cardiovascular medicine physicians at North Shore Medical Center. 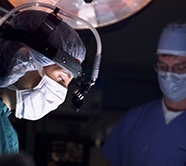 How to find a cardiothoracic surgery physician. Patients in need of cardiothoracic surgery may seek referrals through NSMC cardiovascular medicine physicians or by calling 866.644.8910. Patients may also use Find a Doctor to locate and contact a cardiothoracic surgeon, as well as other specialists, for example a physician who treats thoracic outlet syndrome or a surgeon who performs gastric sleeve surgery.